When we think of events that collect funds for associations or causes, we may think of TV programs or websites, but not necessarily automobile events. Between charity auctions and worldwide automotive events, the automobile is far from an insignificant way to collect funds for needy causes. Telethon is a joining of the words “television” and “marathon” since it started originally as a TV show to collect money. The first telethon appeared in the United States in the 50s and came to France in the late 80s. Since then, every first weekend of December, the French telethon show is trying to collect as much money as possible for the AMF association (French Association Against Myopathy) and many events are set up in France with the same goal: to collect as much money as possible in conjunction with the TV show. The money is used to improve healthcare access, support of families, and defense of the rights; the AFM-Téléthon acts to improve the quality of life of sick people while waiting for the cure. One of my best days this year was the Monaco Telethon, the first Saturday in December. 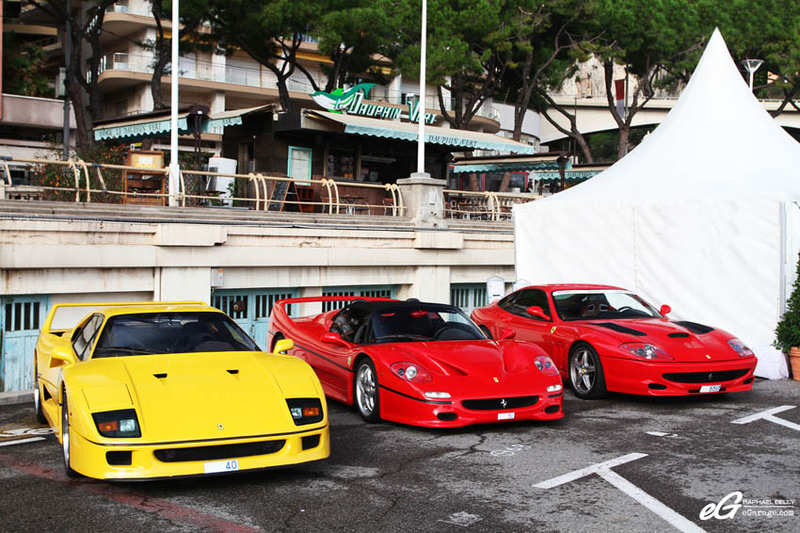 The cars participating in the event are not fixed every year, everyone who owns a special car can bring it to the event (situated on the Port Hercule near the Monaco F1 racetrack « Piscine » corner), and they can drive it all day long. To be a passenger on a car is very easy – you go to the main desk and tell in which car you want to be the passenger. The price you pay (100% of the amount is for the Telethon) depends on the car you choose. 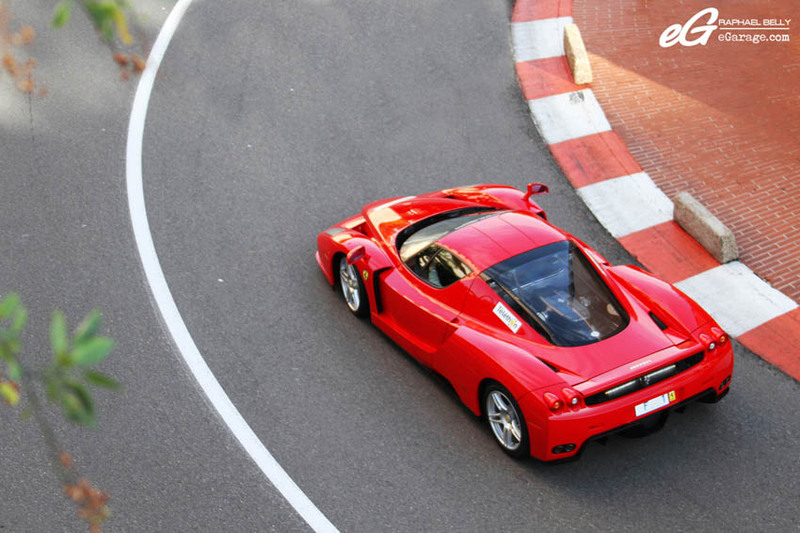 For example, a ride in a Ford Mustang or Subaru Impreza is around 20€ whereas a Ferrari Enzo is 110€. 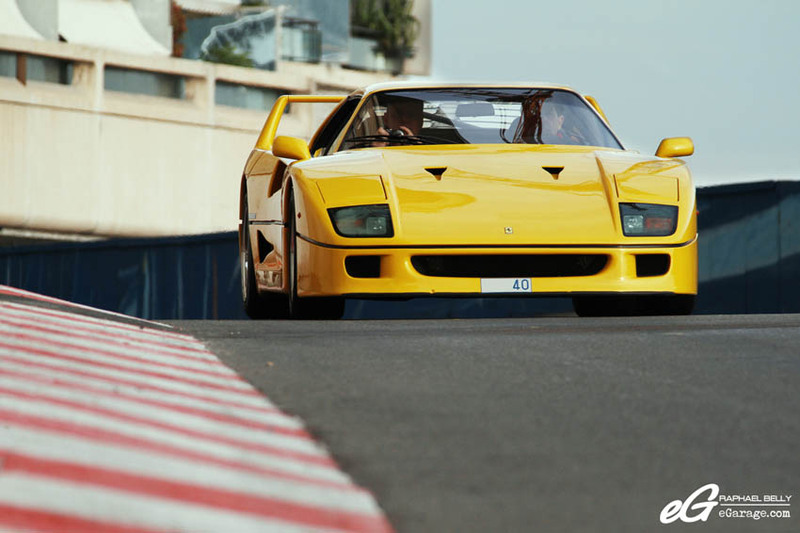 Between these two extremes, you have the Ferrari F40 and Ferrari F50 for 40€. The ride is around 5 minutes and takes place on the F1 GP racetrack. Saturday, December 4th 2010 was my first Telethon in Monaco and I was welcomed by a Ferrari Enzo and an F50 parked on the Port and watched them drive around all the day. My first goal was to catch these cars in the best place within the city of Monaco but I also thought about just sitting on a bench near the track just hear those V12 roar, especially into the F1 tunnel. In addition, the F50 has a straight exhaust line making the noise even more deeper. What a sound! 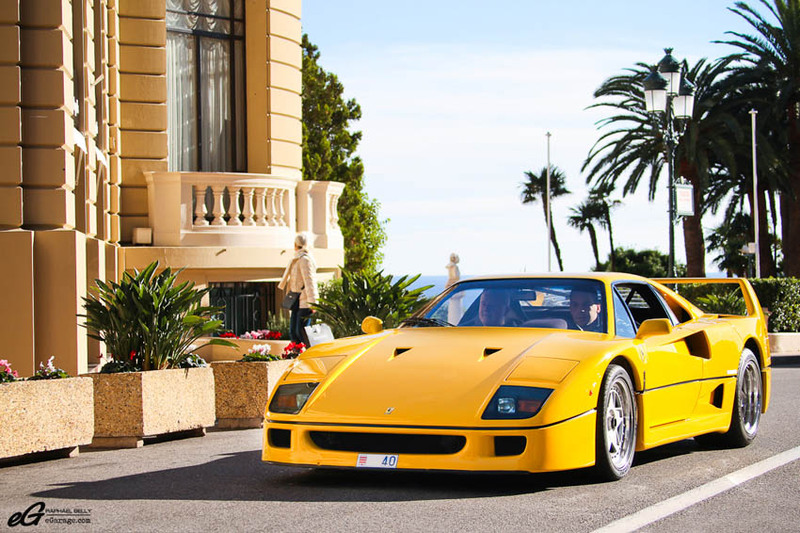 I heard that the 2011 Monaco Telethon was more crazy since people were treated to a little gold treasure : a yellow F40. What a sick color for this legendary car! 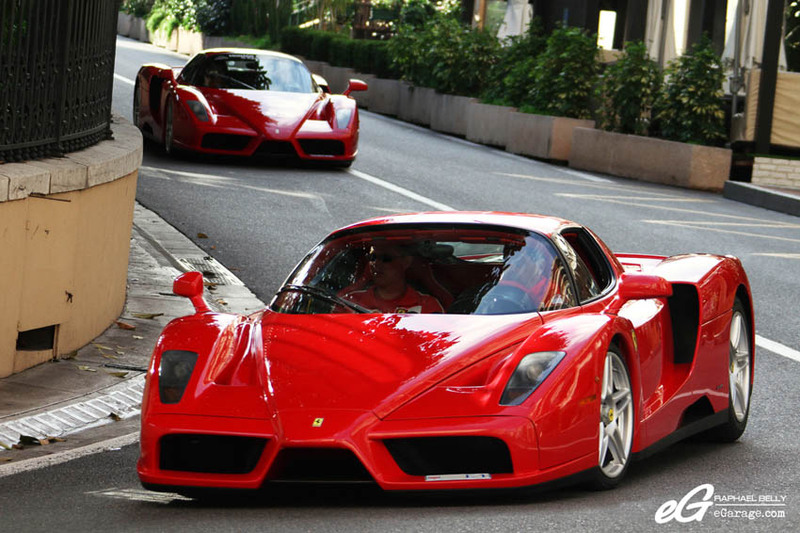 Also, there was not only one Ferrari Enzo but two of them! As a cherry on the cake, the F50 with the straight exhaust was also here. This year there was a varied plateau with Fisker Karma, Ford GT, and a rare Ferrari 275 GTB Competition Special SEFAC (the only one worldwide as it is a Prototype). It is a rare opportunity for some people to realize their kid dream by taking a seat in these supercars while doing a good deed. I spoke to a gentleman named Gaetan who, thanks to the Telethon, was able to realize a ride around Monaco in a Ferrari F50, in the service of a good cause. The presence of sports cars is for him a rare chance “among the events collecting money, as a strong car enthusiast, the baptisms in sport cars is a perfect opportunity to give and to indulge at the same time. 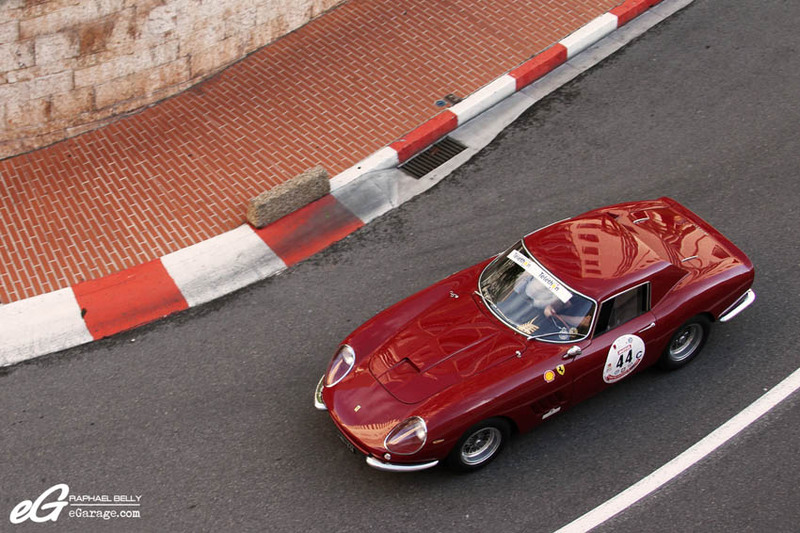 The Monaco Telethon offers an exceptional opportunity, with the rare Ferraris in particular”. He confided me that one car in particular urged him to make the 550km trip to Monaco for the Telethon. 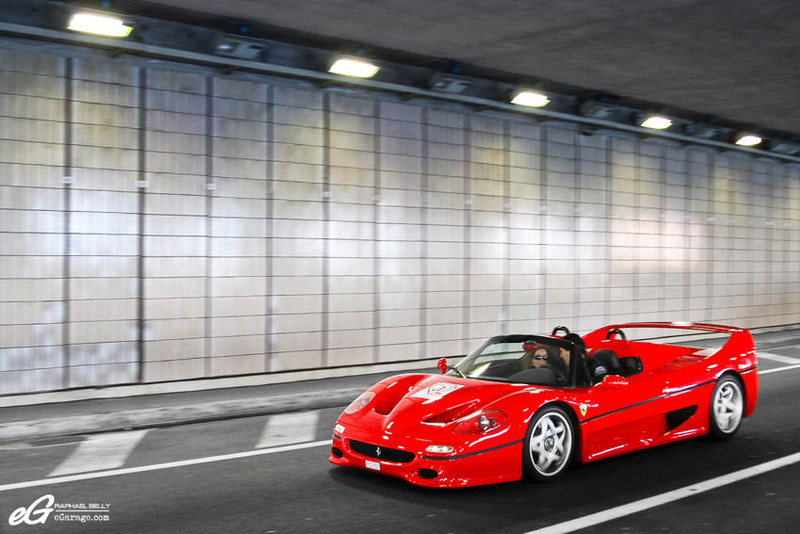 “The departure from Lyon during the night of Friday where I wish to realize my dream and to receive a ride aboard the one that most makes me crazy – the Ferrari F50. For me, it’s representing the Ferrari quintessence. A breathtaking line, an exceptional sound, and I hope, outstanding sensations”. 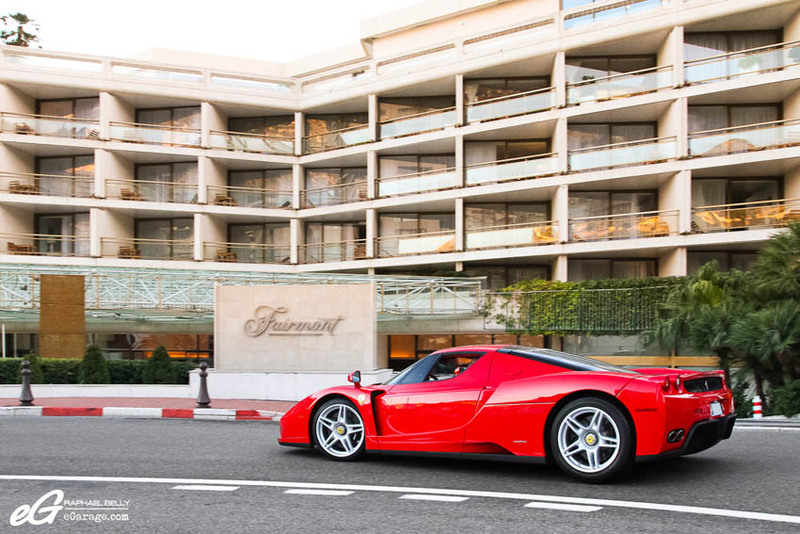 After observing the cars driving in Monaco, it was time for Gaetan to realize his dream aboard the F50. “After the morning watching the cars driving on the mythical circuit of Monte Carlo, I go to the port for my ride in the F50. The car approaches, in its impressive red dress, with an outstanding loud sound. Time to settle down on board, and we are ready to leave. And already I feel that it will be an intense and magical experience but obviously too short. Here we are in the pits, on the Boulevard Albert 1st where the traffic is a little dense. We let some pedestrians pass and the way is now clear. “Here we are returned to the starting point, it’s a dream we would like to extend in the infinity. But it’s necessary to leave this place for other lucky passengers. The magic of a trip in Ferrari mixed with the feeling that we contributed in the fight against the myopathy, that’s the experience of the Telethon”. On the side of the road, the spectators and the car spotters take the opportunity to take pictures and film the cars, some of which are rare to see even in Monaco. I met Julien, photographer/car spotter who never forgets the main purpose of this event. “For me, the Telethon is before anything the opportunity to help sick people”. Julien attends the Telethon every year to catch these cars with his camera, “as a car enthusiast, we are lucky to see the cars driving on the Monaco F1 circuit. 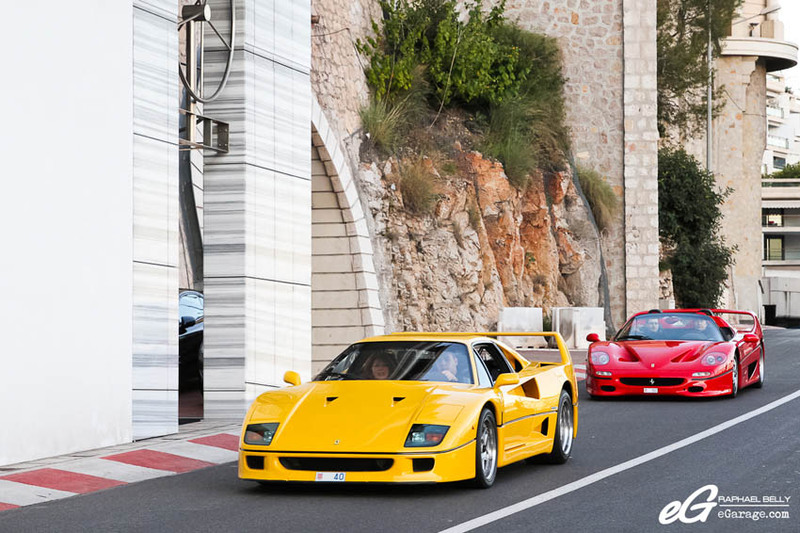 F40, F50, and even Enzo are driving aroud all the day. It’s the perfect day to take pictures since we know the route of the cars, but it is also to simply enjoy seeing these cars driving in front of me”. The Telethon Monaco is about doing a good deed and seeing beautiful cars driving on the Monaco F1 circuit. Especially in Christmas time, the decorations are already settled, so take advantage of a walk in Monaco because it is a big show – when the Christmas carols of the Casino square get mixed with the sounds of a Ferrari V12, the melody becomes divine.